IT Kidz are introducing CS First Clubs by Google for Autumn 2017. CS First are theme based clubs. Each CS First club is based on a real-world theme and offers about 12 hours worth of lessons and activities. The different club themes aim to attract and engage students of varying backgrounds and interests. 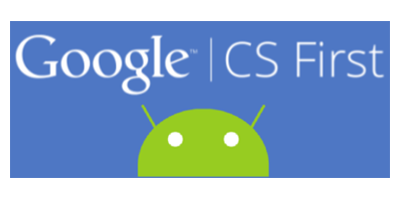 IT Kidz are introducing CS First Clubs by Google for Autumn 2017. CS First are theme based clubs. Each CS First club is based on a real-world theme and offers about 10 hours worth of lessons and activities. The different club themes aim to attract and engage students of varying backgrounds and interests. CS First clubs are available a variety of themes like music, art, and game design, and are designed to capture your child’s existing interests. Kids love it! In Storytelling, students use computer science to tell fun and interactive stories. Storytelling emphasizes creativity by encouraging club members to tell a unique story each day. In Friends, students are encouraged to sign up with a friend or make a new friend in the club. Friends emphasizes teamwork by allowing club members to tell the story of how their friendship started and imagine a company together. In Social Media, students create fun social media style applications and games while learning about the computer science concepts that enable these programs to work. Please fill the inquiry details.